Nobody Loves St. Patty's Day More Emily Pennington! 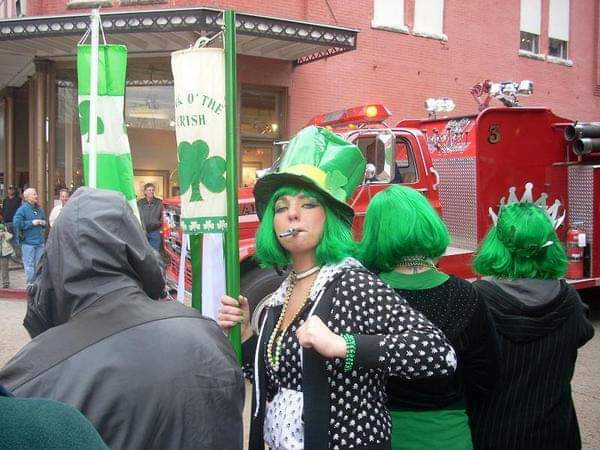 There are people that like, enjoy and celebrate St. Patrick’s Day but no one loves the Irish holiday like Emily Pennington. 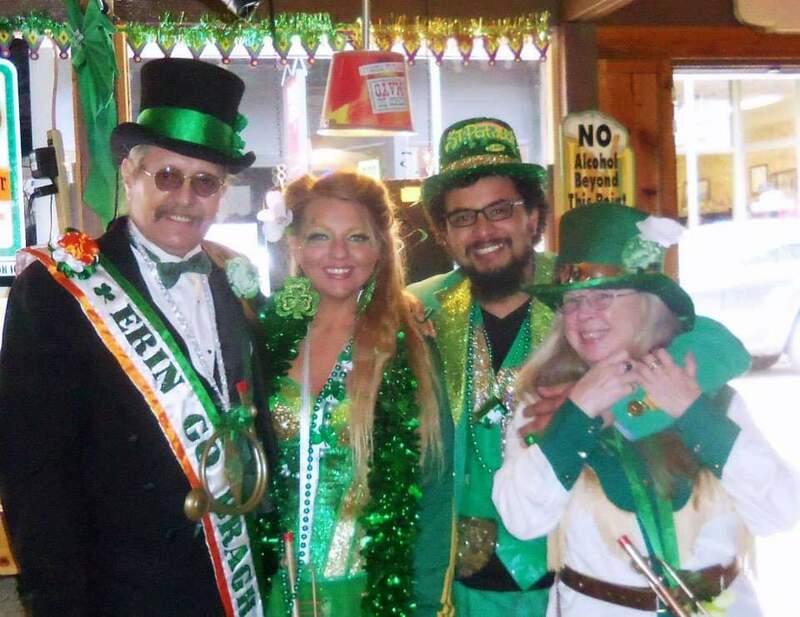 Locally born and raised, Emily has a passion for the food, music and people that surround her on her most favorite day of the year: St Patrick’s Day! So what does this annual celebration look like for this little ray of sunshine? It all started in grade school when Emily would be sure to always wear green on St. Patty’s Day to avoid being pinched! 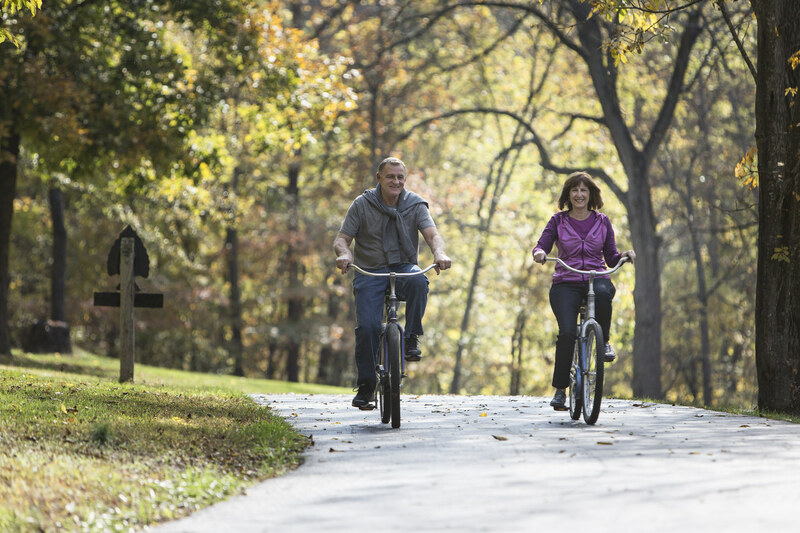 She feels the holiday has definitely emerged and become more popular over the years because others are catching on to the green energy that Emily has come to know and love. 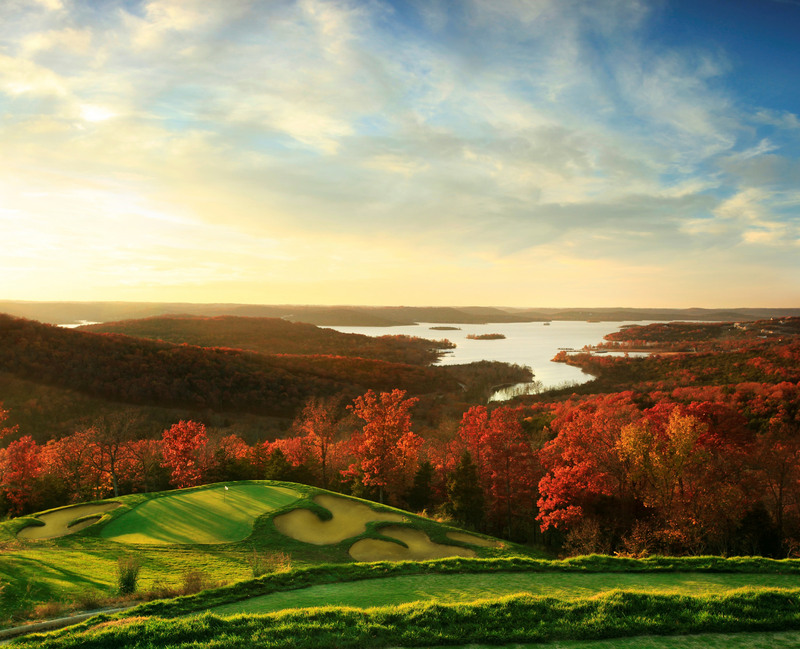 In 2004, Emily went down to Eureka Springs on a whim. It was about 4 or 5 days before the 17th. She decided to take a walk and check out some of the springs on a gorgeous day where the sun was shining and the Daffodils were in full bloom. During the stroll she noticed a parade forming. Anyone that knows Emily knows she loves a good parade! She sat up on a rock and began people watching when just moments later a chatty man wearing a top hat with a monkey in a green dress on his shoulder took a seat next to her. 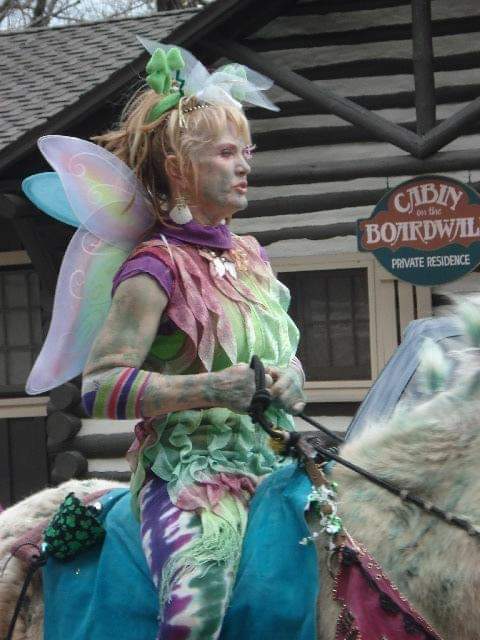 As the conversation carried on, a woman dressed like a woodland fairy goddess on a beautiful pastel painted horse, being led by a long bearded hippie fellow dressed as a leprechaun holding a pot of gold appears. 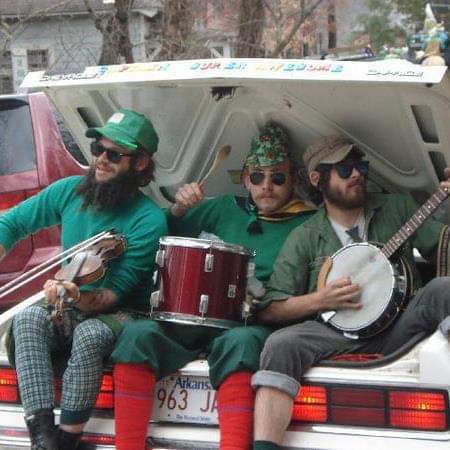 Following them was a Chevy Caprice that slowly passed by with an open trunk full of a local trio of musicians playing some of the most beautiful folk music you have ever heard. That’s all it took. Emily was hooked from that point on. Emily fell in love with St. Patty’s Day. We asked Emily what a full schedule looked like for the grand event. She told us she starts preparing for it about 3 months before, right after Christmas. She finds bargains on tinsels and decorative pieces for glamorous costumes she creates each year. After all, Christmas items offer the best gold and green glitter accents! 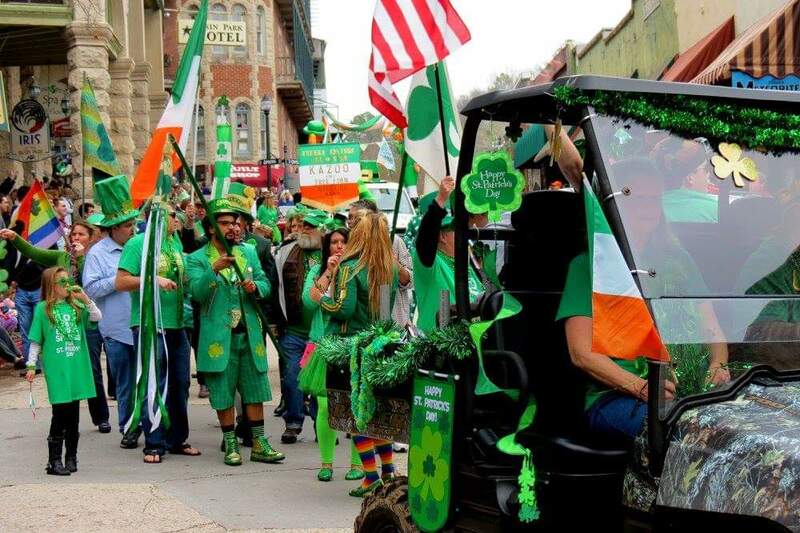 Every year since that day in 2004, Emily spends her St. Patrick’s Day in Eureka Springs, Arkansas where her favorite holiday spirit, green beer, is flowing like the river and dinner on this day is always corned beef and cabbage with Reuben sandwiches for lunch! She is in the parade every year as well and hasn’t missed one yet. 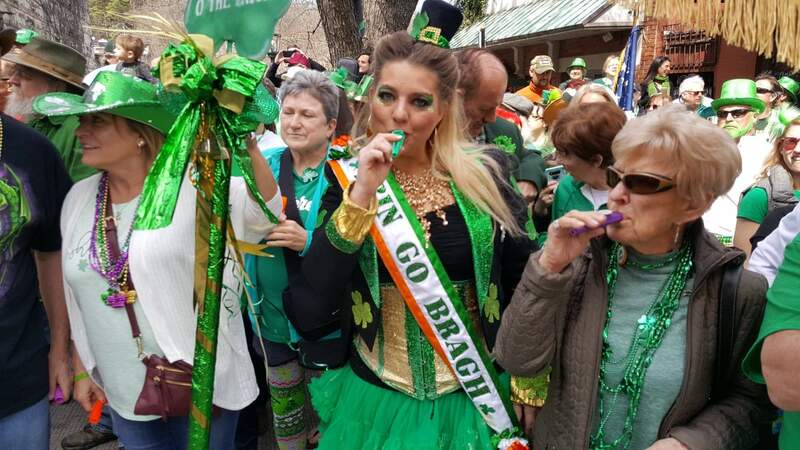 Her Irish/Scottish heritage cannot be denied as she marches her Kazoo band down the streets filled with joyous friends and strangers that quickly become family. 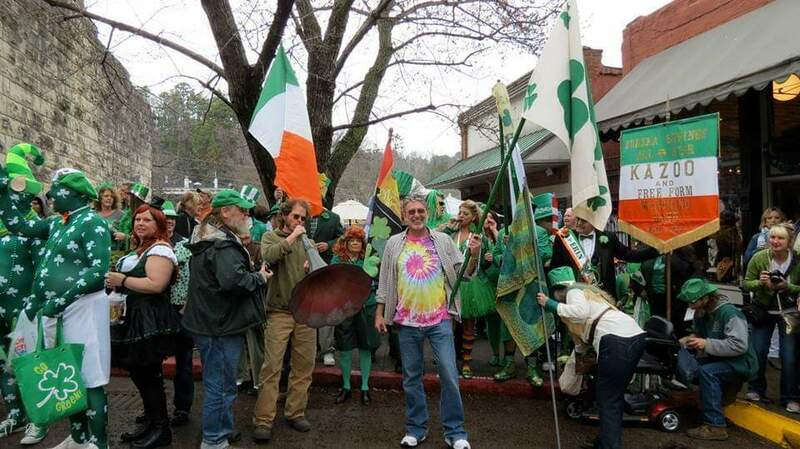 The Eureka Springs All Star kazoo and Free Form Marching Band are marketed on the streets the night before the exciting event to build their circle as they make new friends. She wakes up on the 17th, cranks Irish music as loud as she can throughout the house, does a little jig in the kitchen to Darby O’Gill, The Kretchma at a level 10! 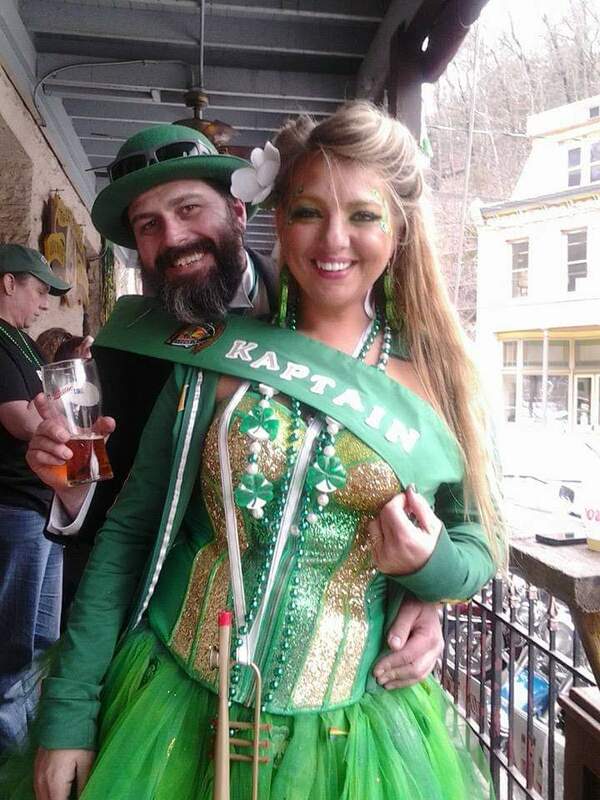 The excitement Emily feels cannot be described when this day comes each year but it can be witnessed in the St. Patty’s Day Parade in Eureka Springs. Emily wants to send a huge “thank you” to Rances, her anchor, he is the one that holds her together by making sure she arrives on time on the big day with all the necessities. He even helps her construct the costumes, build props, hats, shoes and remains at her side throughout the entire event. 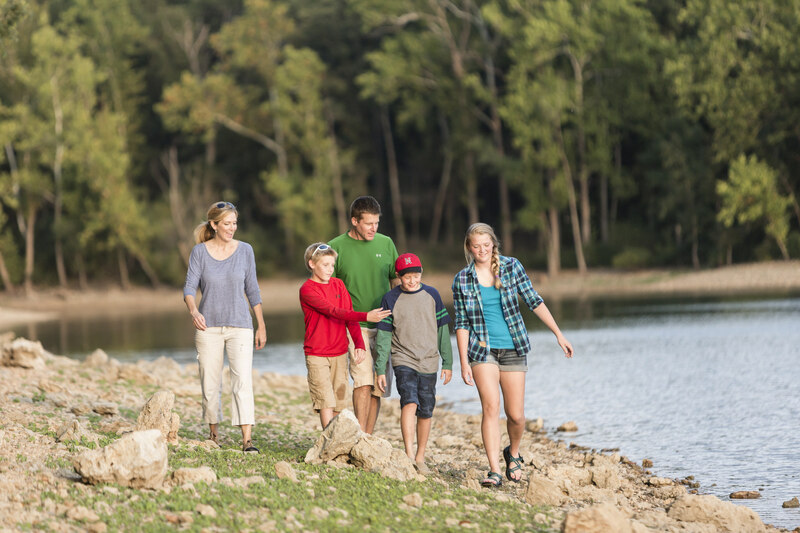 A big shout out goes to the Basin Hotel, Chelsea’s Corner Cafe and The Pied Piper/Cat House Lounge, the Rowdy Beaver and Eureka Underground, a few of Emily’s most favorite businesses to visit when she is in Eureka Springs. She also would like to apologize for all of the glitter left behind once she and her posse have made their way through. 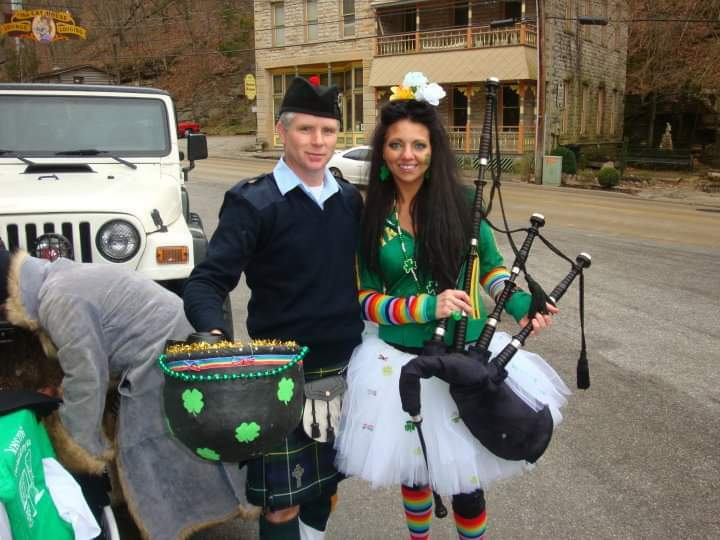 Are you interested in joining the Parade and the Eureka Springs All Star Kazoo and Free Form Marching Band. As Joseph Easton said, “Have no talent? Then you are the PERFECT candidate to join!” But even if you do have talent you are welcome to join the parade this Sunday. Come dressed accordingly and bring a spirit of cheer with you!